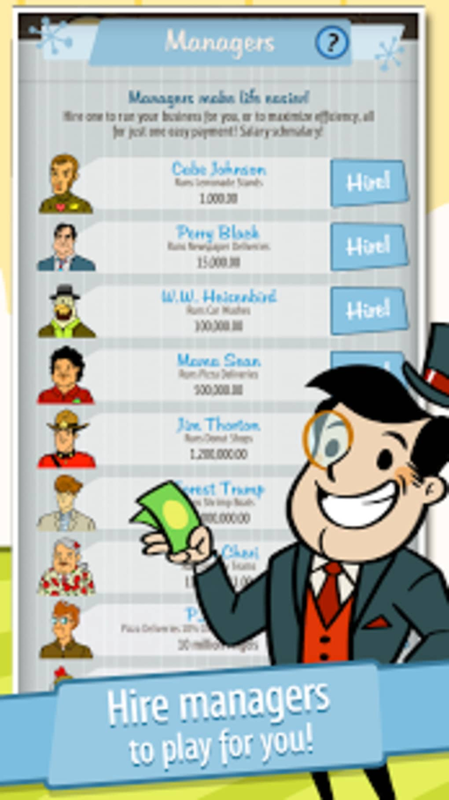 AdVenture Capitalist is a page flipping app playing is almost like sorting through a pocket book and making decisions based on the information you see. You have to sell commodities by clicking on them. It is more fun than it sounds. 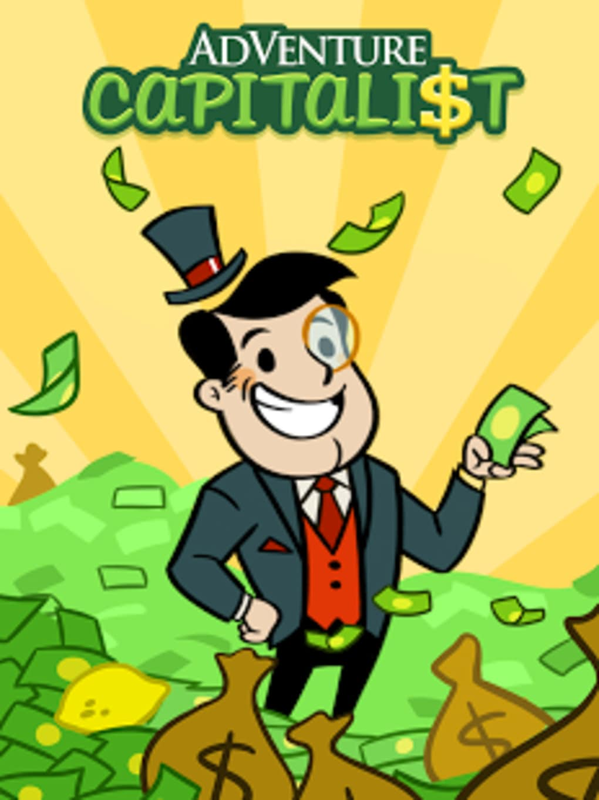 AdVenture Capitalist sets you off with just a lemon. 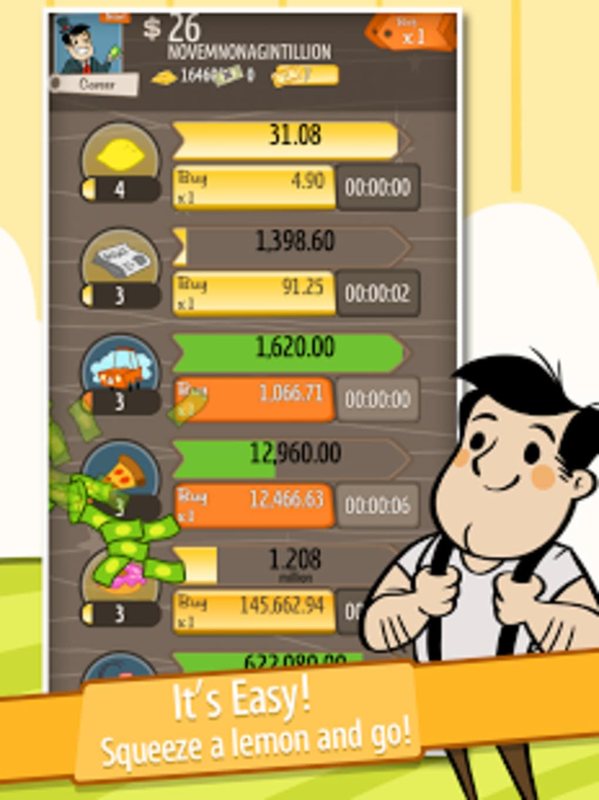 You have to keep tapping the lemon to earn money. Once you have enough money, you may hire somebody to tap the lemon for you. 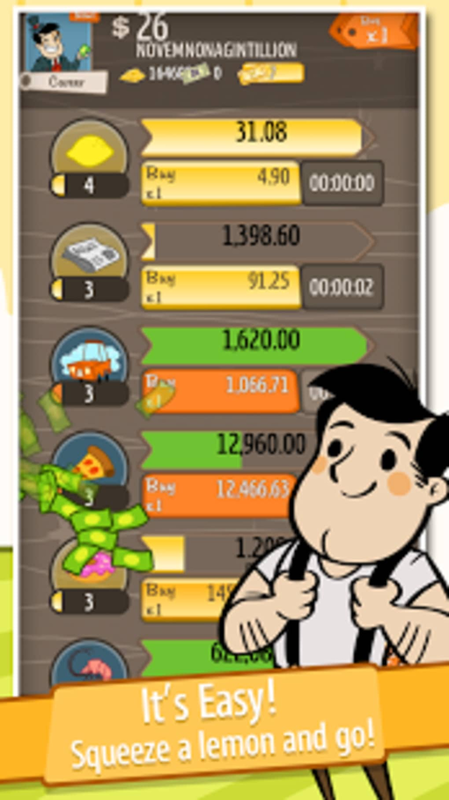 Build up more cash and invest in another commodity to see how well it sells when you tap. Hire more people, build up your wealth, and invest in more things. Put your money into a cruise ship or even into trips to the moon. 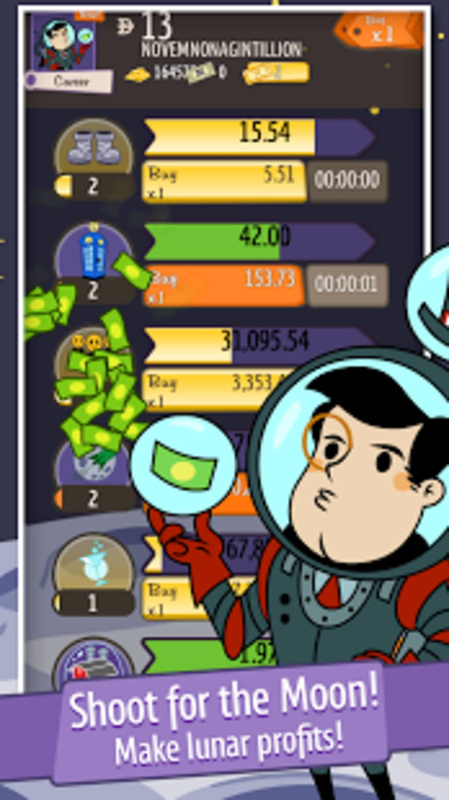 It is possible to hire a character from the game to keep generating money, sit back, and wait for your cash to build up. 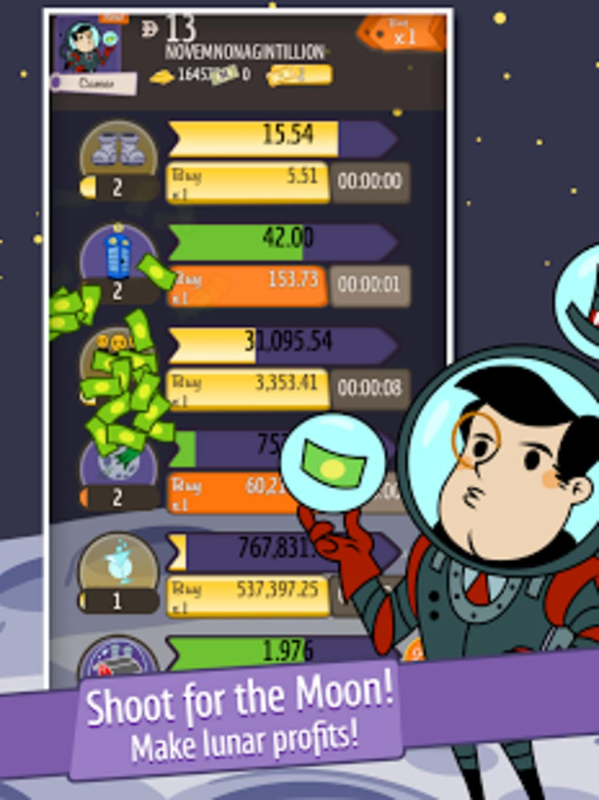 The game is somehow addictive despite the fact you can get by without doing very much. 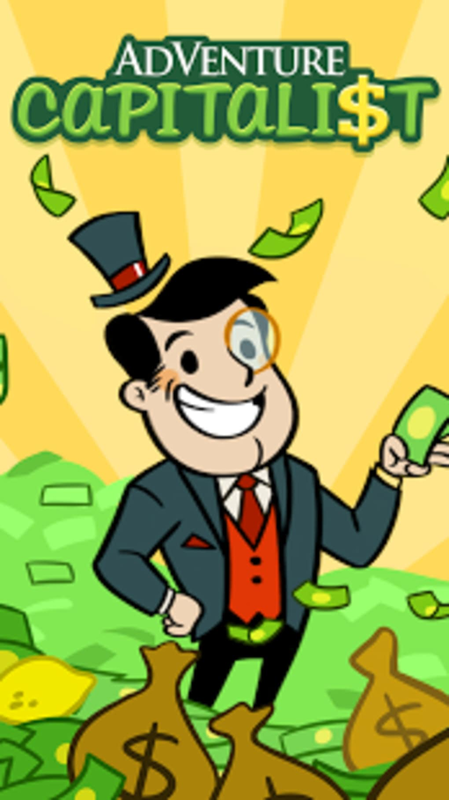 AdVenture Capitalist allows you to choose your level of involvement. You can monitor your investments and push forwards to make money faster, or you can allow your employees to do all the work while you watch your money pile up. 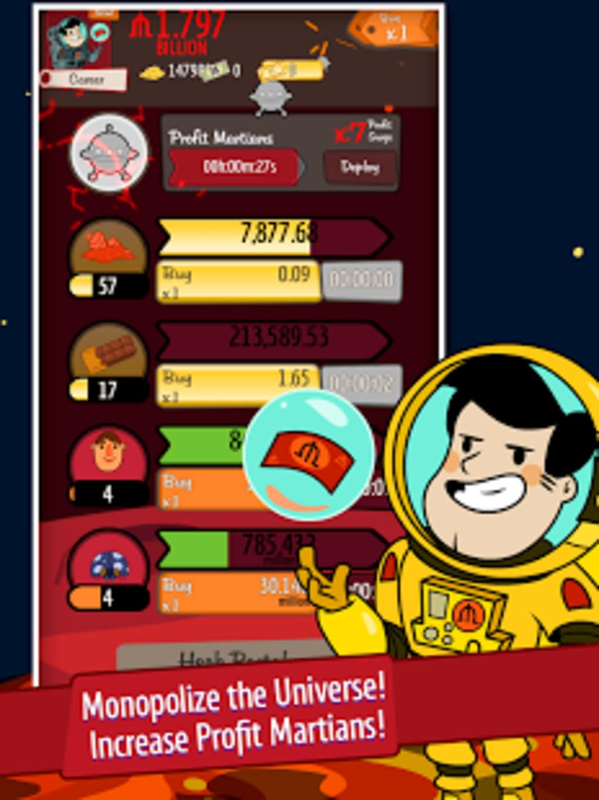 It is easy to play, and you may download and install it for free. 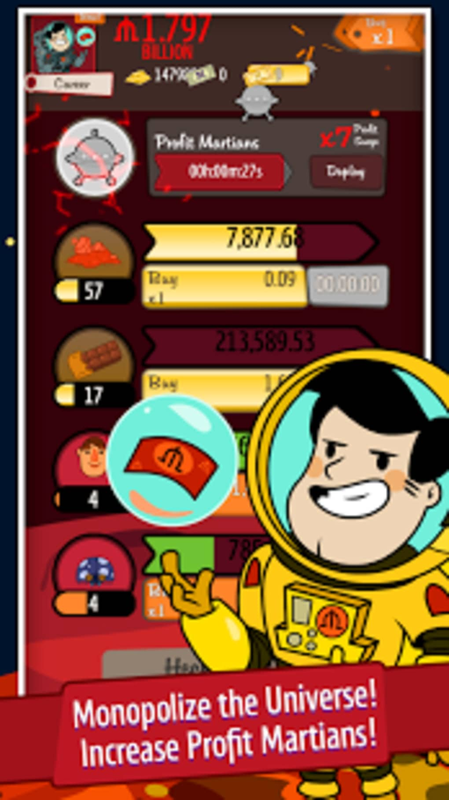 The only downside is that the game has ads, but they are not intrusive or annoying. 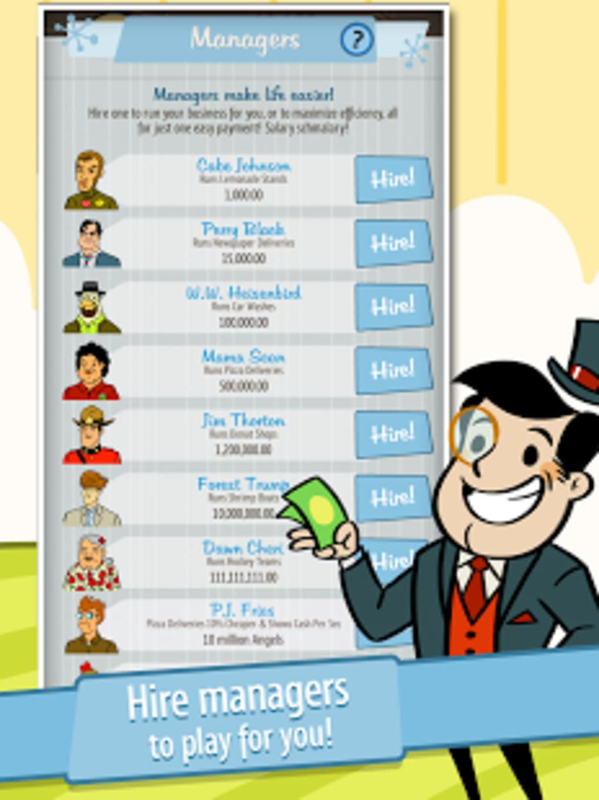 What do you think about AdVenture Capitalist? Do you recommend it? Why?